Dimensions, mm: 165 (height with stem) х 120 (diameter). Jewelry pictured is not included. 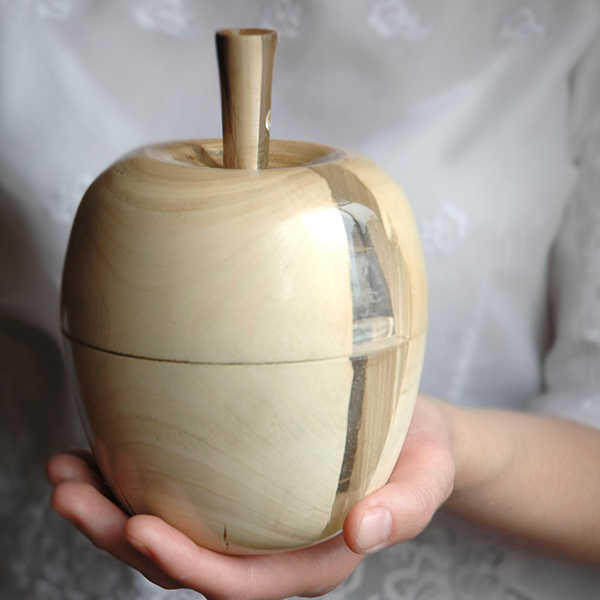 A capacious apple-shaped jewelry box. An insertion of transparent jewelry resin is a great accent. A wonderful gift for a bride or a woman of any age. An original wooden wedding surprise.